With the latest news, that an Australian ship may have detected the sound of pinging from the black boxes on the missing Malaysia Airlines jetliner, the massive effort in the South Indian Ocean begins to seem a little less overwhelming. But let's set aside the search and the constant speculation over whether this is an accident or a crime. I want to write about the effect the event is having on the people who live in Malaysia. Since arriving in Kuala Lumpur on March 13, to assist ABC News in its coverage of this unusual story, I have been repeatedly startled that so many Malaysians personalize this event. I am told that Malaysia is not just an airline, it is part of the national identity. 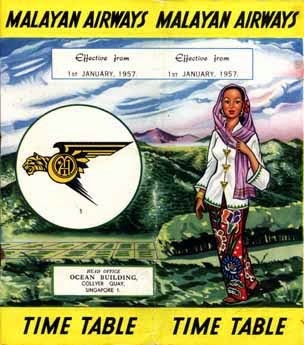 From the first flight of Malayan Airways Limited in 1937 the air travel business was a stop and go effort here, with wars and occupations interrupting the development of an air transport network in the forties and the exit of Singapore from the Malaysian Federation in the sixties. The airline was called Malaysia Singapore Airlines until the city state of Singapore opted to go it alone, taking its name along with the international routes and creating Singapore Airlines. The folks who shared this history with me confirmed what I suspected, that the loss of the lucrative long haul routes hobbled Malaysia Airlines, leaving it with the more labor intensive and lower profit domestic and regional destinations. Nevertheless, it grew and grew, this time with economic interruptions. The most current is the real threat posed by the low cost carriers, Malindo, Air Asia and Air Asia X.
Judging from my experiences at the packed and bustling LCC side of Kuala Lumpur Airport, Malaysians aren't necessarily brand loyal and neither are the tourists just passing through this paradise. 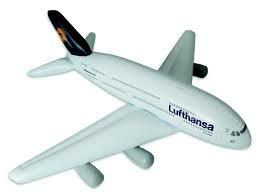 Like air travelers everywhere, ticket price is powerful motivator. The anybody can fly-touting carriers have all the attraction of a new, fun boyfriend. Malaysia Airlines is the rock-steady-daddy - okay maybe often boring - but always with a place reserved in the heart. This, and the fact that everyone here knows at least someone (and usually many someones) working at Malaysia Airlines accounts for the very public outpouring of sympathy and support for the troubles it now faces. Full page ads in local newspapers offer prayers. Signs large and small are posted throughout the city, even, surprisingly in the bars of Bukit Bintang, the city's party-hearty nightclub district. During a visit to the city's famous KL Tower on Sunday a freshly-inked banner hung drying outside of a batik shop. This morning, I interviewed Masnoor Ramli Mahmud, a Malaysian painter and photographer who is working on a one-man show from his round the world flight in a Pilatus. (About which, more later). The exhibition was planned long before Flight 370 went missing but there's a image of a plane, a man and a mystery that Masnoor wants to add to the show, though it is still just an idea in his mind. The people I meet are immediately ready to talk about the airline. They are not obsessed with questions of air safety or air security, or even the financial impact that this is having on the airline or the governments who have sent people and expensive hardware to the region, though these matters surely concern them. Mostly they want to shake their heads with me, befuddled like the rest of the world. Unlike everyone else, this is not distant curiosity. Malaysians are both on the scene of the drama and participants in it. It it as personal as if it had happened within the family, because it truly has. Note it is only being heard intermittently as the currents and water transmit the sound, so it can be hundreds or more miles away, but it is a start. Now the race to find it before the batteries die. Did MAS do proper maintenance on the black boxes and batteries? Subscribing for comments. BTW, I heard you live on CNN last night, Christine (early this morning here), getting in the final questions before they ended the press conference. Too bad they dodged your question, the best question of the night… twice! Underwater acoustics is one of those science based arts that takes a great scientist and artist to master. Two identically trained and qualified operator can read the same sonar chart, and come to many different conclusions. Isn't it time to bring airlines into the late 20th Century? Streaming data from ACARs like system for every flight. (Cost around $10 per flight, wholesale, say $100 per flight retail). Stream transmit of CVR and FDR data upon automatic activation of trouble detection protocol. Dual stream, to VHF land stations or satellite as backup. Add Cockpit cameras, not one, but say 3 or 4. Upgrade memory of black boxes to maximum length of flight X 2 times. Upgrade memory of FDR to record many more channels, and more data. Extend life of pingers to 90 days. Add radio beacon (for on land search). Want to get real fancy? Have the capability for remote piloting of craft in an emergency by either interceptor or ground station. That takes some work and safeguards, but it is doable. Getting away from the investigation for a moment. This is a great piece, It is a typical feeling towards a lot of national airlines outside Europe and North America. People have grown up with their national airlines and feel a personal bond to it. They may not use it and fly with the competition but it is part of the national fabric. Why go far when BA wanted to be the global airline and painted their fleet tails with scenes representing the cultures of its many destinations, the British objected they wanted their airline back. Some airlines become a national icon. I know I found that to be true in Dubai when I did my week in flight attendant school. I would walk to the subway in my student uniform and people would come up to me and ask how they could get a job at Emirates. Even with a relatively new carrier, an airline is something local to rally around. And that feeling is very strong here in Malaysia. The hard work is still ahead. Good technical data there... can't listen to pinger an use sub at same time. Mic so sensitive aircraft overhead can screw things up. Ships and planes told to stay away. Time to congratulate you on good journalism. So far, not a single credible shred of evidence that the incident is caused by a deliberate act by crew or others. Time to congratulate you on best journalism. More useless speculative information being leaked by Malaysia. "The telco's (telecommunications company's) tower established the call that he was trying to make." A different set of sources close to the investigations told the NST that checks on Fariq's phone showed that connection to the phone had been "detached" before the plane took off. "This is usually the result of the phone being switched off. At one point, however, when the airplane was airborne, between waypoint Igari and the spot near Penang (just before it went missing from radar), the line was 'reattached'. "A 'reattachment' does not necessarily mean that a call was made. It can also be the result of the phone being switched on again," the sources said. Here it is, investigators are looking for the holy grail in the dark under the streetlight because that is where they have light. Instead of looking in the Indian Ocean, where the evidence is. The issue is portrayed as of a telephone call was being made by the co-pilot when in fact all it is is that the phone made contact (ping) with a tower as it flew over it. OK, so the co pilot is guilty of either not turning off his phone as they are suppose to for the flight (or or on airplane mode) or just leaving it on like most of us. Malaysian Airlines said they did all the ADs that needed to be done. But what they did not say was whether the AD regarding the oxygen hoses in the cockpit (suspected cause in the Egyptair fire) was in fact done --- because there was an extension to the deadline that may have not required that repair at the time of MH 370. Come on.. out with the truth. How hard can it be to find a pinger? More useless speculation that is not based on facts, but speculation by persons with little or no expertise in aviation, and in particular, in how a craft that is being "flown" with dead pilots behave. "The missing Malaysia Airlines plane was 'thrown around like a fighter jet' just after it lost contact with the authorities in a bid to dodge radar, Malaysian military investigators believe. Flight MH370, which disappeared more than a month ago en route to Beijing, is thought to have climbed to heights of 45,000ft - 10,000ft above its normal altitude - before plummeting to just below 5,000ft. The drastic manoeuvres which must have been taken for the plane's alitutude to change so suddenly suggest that the plane was deliberately trying to avoid radar signals and disappear, a source said. Speaking to the Sunday Times, the source said: 'It was being flown very low at very high speed. And it was being flown to avoid radar.'" This is suppose to be a Malaysian Military Investigator. First, more leaks to compromise the investigation by throwing out misleading investigation of the facts. The behavior as described is exactly what would happen (try it in a simulator) when the pilots are dead. Porposing --- that happens when the plane's correct for apparent pilot errors automatically without a pilot. Shifts in direction appear (from a crude estimate done here) to fit wind patterns. Come on... Malaysian Military Investigator. First, they should not be leaking to press. Second, their leak is flatly unsound technically as an interpretation. The number of leaks of misleading interpretations of information from official sources about the MH 370 tragedy have reached the point where it is below the expectations of a regime like Malaysia and is bordering on what is expected of irresponsible regimes not generally found in SE Asia. While it is expecting too much of the press to be able to restrain themselves, or should one say, such restraint do more harm than good, any Malaysian official or party under contract or assisting that is working on the investigation have a basic responsibility to not release information that is unverified, or to present interpretations that is not strongly supported by the facts known. If an official is not sure, say nothing or admit ignorance. If facts is to be leaked, provide no interpretation that might be misconstrued or turn out to be false. Time and time again, Malaysian officials from the top down, have failed this basic obligation to the world, and inflicted tremendous damage and harm to the next-of-kin of the victims, plus the aviation industry, and least of all, to Malaysia. Malaysia have shown no ability to control their urges to tease the world with wild speculations 37 days after the incident. That in turn, raises the question of whether Malaysia is a fit and proper party to be leading what will turn out to be a very complicated, difficult, intellectually and emotionally demanding investigation. Given that ICAO rules by default give Malaysia the lead role, it raises questions as to what to do when the lead state is incapable of carrying out the task ahead of them in a competent manner. Game nearly over (for the easy search). Long ago, within a week of the incident, I posted the recommendations that phone pings be checked out. Nobody bothered to do that until recently even as the next-of-kin were reporting that calls were "going through" and ringing --- rather odd if the phone did not ping a tower somewhere at some point. I also posted (not here) that the satellite pings could be used. Another idea not used until too late. A while back, I suggested focusing on sonar pings on the now fairly well known flight path rather than debris because the ping is active, and can be heard for several km (2km is the nominal range) while debris could have floated very far and scattered in the weeks since. Now that the pinger is likely dead, we know time was wasted on the debris search when they should have gone sonobouying and listening. A huge tragedy for the victims that is compounded by the utter incompetence of the persons in authority who should know better.